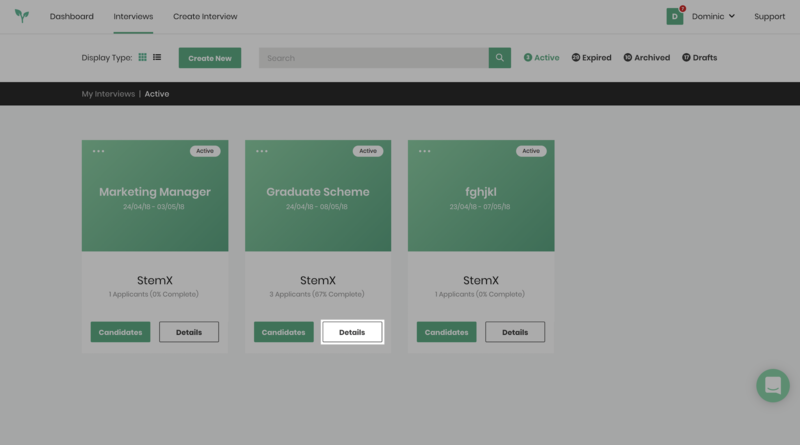 To Extend the end date of your interview you will need to go to "INTERVIEWS" and click the "DETAILS" button of the interview you wish to extend. Once you reach the details page scroll down until you see "CLOSE DATE". 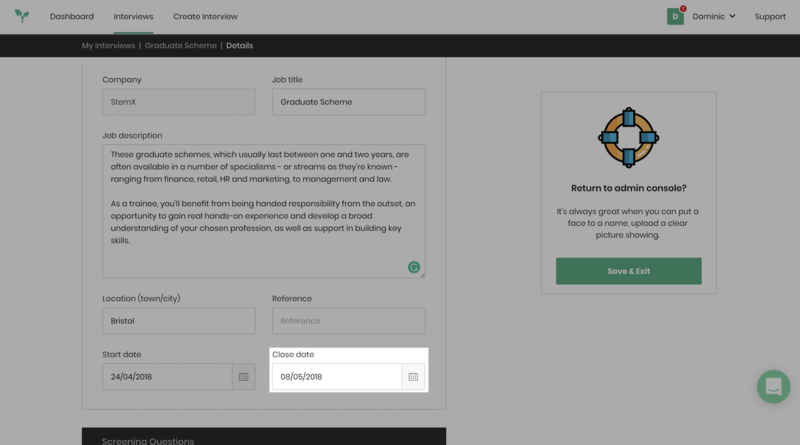 Click on this field and select the date that you wish the interview to close on. 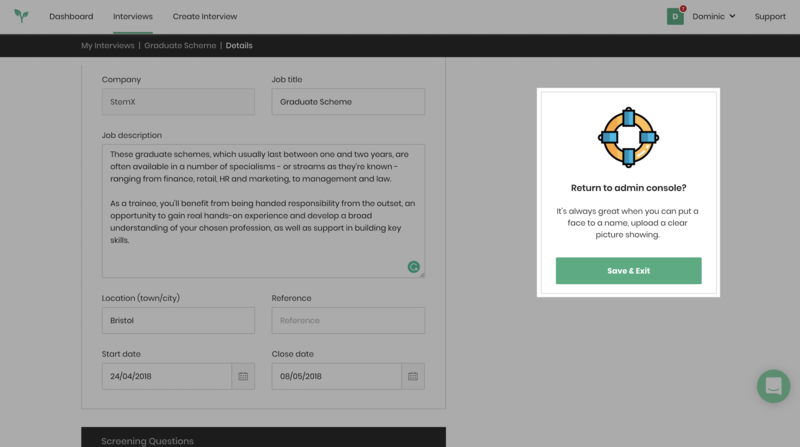 Once you have done this press "SAVE & EXIT" on the right-hand side and then your interview has been extended.